Antônio Augusto Ribeiro Reis Júnior (born January 30, 1975 in Recife), commonly known as Juninho or Juninho Pernambucano, is a Brazilian football player, who plays as a central midfielder for French club Olympique Lyonnais. He scored seven goals in 44 games for the Brazilian national team, before retiring from international football after the 2006 FIFA World Cup. Born in Recife, Juninho started his senior career with SC Recife in 1993. Juninho learned to kick free-kicks with Mauro Galvão, a defender for Club de Regatas Vasco da Gama in the early 1990s, who was an instructor for the team during the time Juninho played there. He moved to CR Vasco da Gama in 1995, and played 110 games for the club, scoring 24 goals. He won several trophies with Vasco, including the Brazilian Championship in 1997 and 2000, the Copa Libertadores in 1998 and 2000, as well as the 2000 Brazilian Silver Ball award, as one of the best Brazilian midfielders of the season. He made his debut for the Brazilian national team in 1999. On September 7, 1999, Juninho became the first football player to play a top-level match in two different countries in the same day. He represented his country in the second half of the friendly between Brazil and Argentina in Porto Alegre, which Brazil won 4-2, playing about fifteen minutes. In spite of a delayed flight to Montevideo, he still arrived in Uruguay on time to feature in the second half of the Copa Mercosur match between Vasco and National. 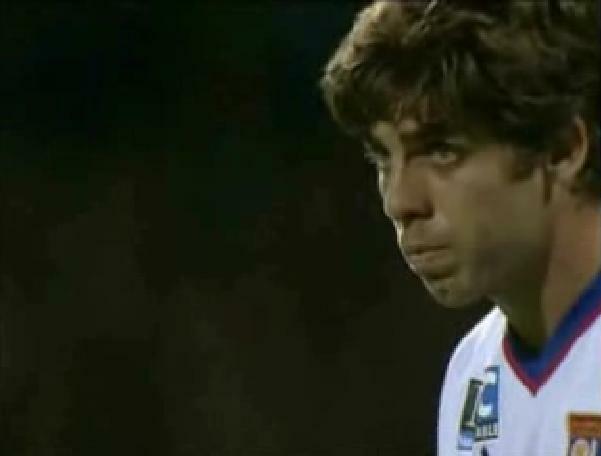 In 2001, Juninho moved abroad to play for French club Olympique Lyonnais (Lyon). Before his arrival at Lyon, the club had never won the French Ligue 1 championship. In his first year at the club, the championship was secured, and it was subsequently won six seasons in a row. At Lyon, Juninho made himself especially noted for his accurate, powerful and varied set pieces. In addition, he is an effective passer, having provided many assists, and his leadership abilities have prompted Lyon manager Gérard Houllier to name him team captain. Juninho represented Brazil at the 2006 FIFA World Cup. Following Brazil's exit in the quarter-finals of the tournament, he announced his international retirement, as to make way for younger talents coming through the ranks in Brazil to build for the 2010 FIFA World Cup. Juninho taking a free-kick.Juninho has become renowned for this extraordinary expertise in set-piece situations, and is one of the best free-kick takers in the world. A survey by the French sports daily L'Equipe from December 2006, revealed that 45% of Lyon's goals (at the time one of the best attacking teams in Europe) resulted - either directly or indirectly - from a set-piece delivered by Juninho. His set-piece precision is due to the fact he used to play futsal, where the goals are much smaller and therefore precision is required.